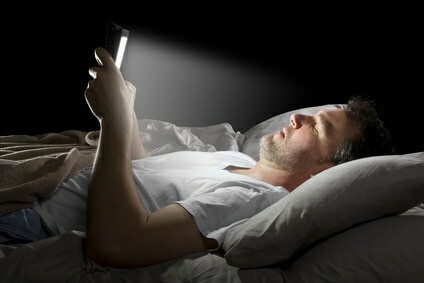 Every night, millions of people check their emails before going to bed. Indeed, some people check their emails while they are in bed. At the weekend too, millions of work-related emails are generated. And it is bad, all bad. New research shows that out-of-hours emailing is potentially psychologically harmful. Quite apart from the issues of work-life balance, using work-related email when you are not in the office can also lead to mental exhaustion. For employers, this is fast becoming a health and safety issues. Companies are required by law to protect their employees from harm, including psychological damage. Allowing staff to work on email when they are not in the office could impact upon the individual’s psychological health. As a result, companies may need to limit access to work emails, out of hours. This is not as controversial as it may seem. In France, it is now illegal for companies employing more than 50 people to send emails outside office hours. The legislation was introduced a couple of months ago specifically to protect workers from psychological damage. You can expect other countries to follow suit. However, businesses need to think a bit, rather than over-react to steps taken to prevent workers from emailing. Email overload is well-established; a typical office worker is getting 200-300 emails per day and is spending three hours on dealing with email – the vast majority of which is actually unnecessary. Combine that with workers who are tired, not relaxed, have home problems due to work clashing with private life and you have a recipe for an unproductive workforce. Productivity levels in the UK have failed to recover since 2008 in most areas of work. Economists are struggling to explain why productivity is not as great as they would expect. Tired and emotionally burned-out workers could be a factor. The more emailing they do at home, away from the office, the more they become burned out and stressed. So, banning out-of-hour emails does much more than enabling companies to stick to health and safety legislation. In addition, preventing staff from accessing work-related emails when they are at home will actually make people more productive. That, in turn, will help boost profitability. Switching off emails after 5pm at night could be the best thing you do for your business – and your staff.